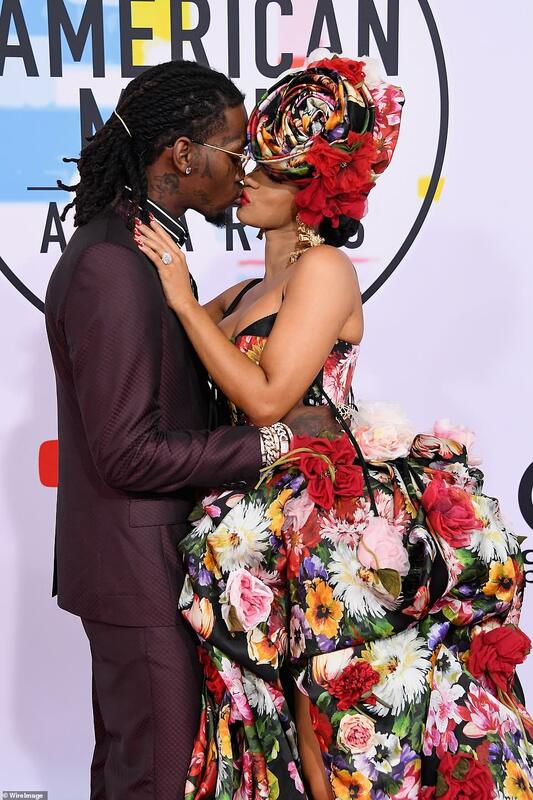 All is well in the Bardi Kingdom as Cardi B and husband, Offset kissed at the American Music Awards 2018. The couple walked the red carpet together, shared a smooch . The rapper was clad in a stunning floral outfit by Dolce and Gabanna .She also rocked a matching headgear and floral embellished shoes. Her huge earrings completed the over-the -top look. She was accused of assaulting two twin bartenders whom she suspected of having an affair with her husband,Offset. 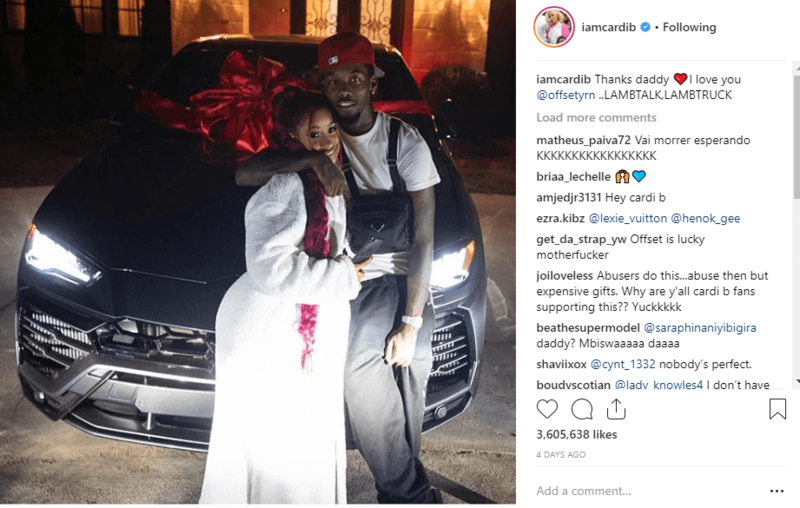 The rapper who turned 26 got a Lamborghini truck from Offset as her birthday gift. 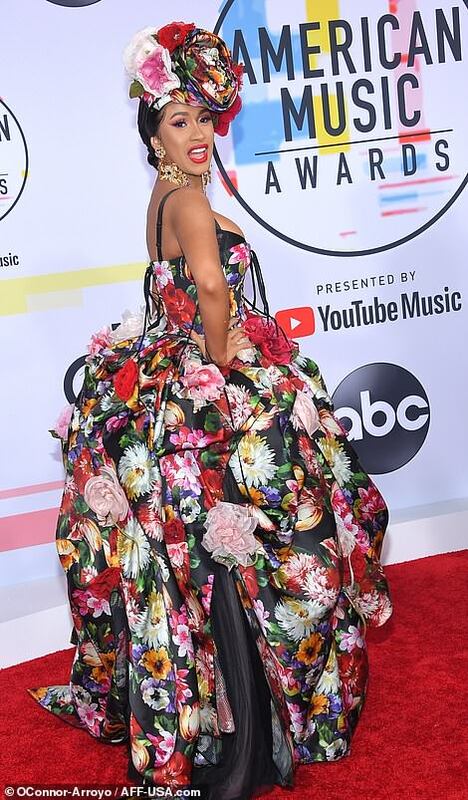 The post Photos: Cardi B and Offset kiss at the American Music Awards 2018 appeared first on Miss Petite Nigeria Blog.